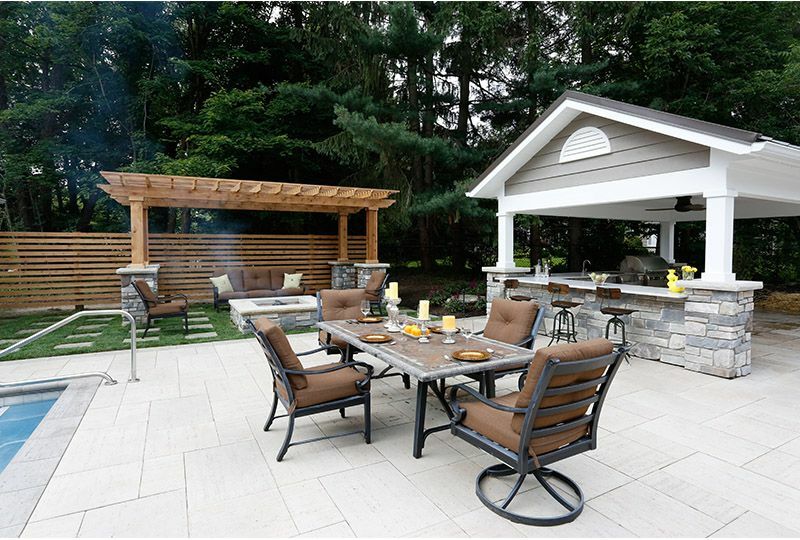 Think of your backyard as a blank canvas. What structures would you like to see when you look out the window? 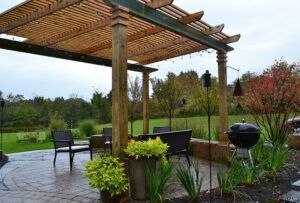 Maybe it is a beautiful covered patio or an outdoor pavilion for dining and entertaining. Perhaps you would simply like to add a brick walkway or a stone retaining wall to create some interest in your garden. 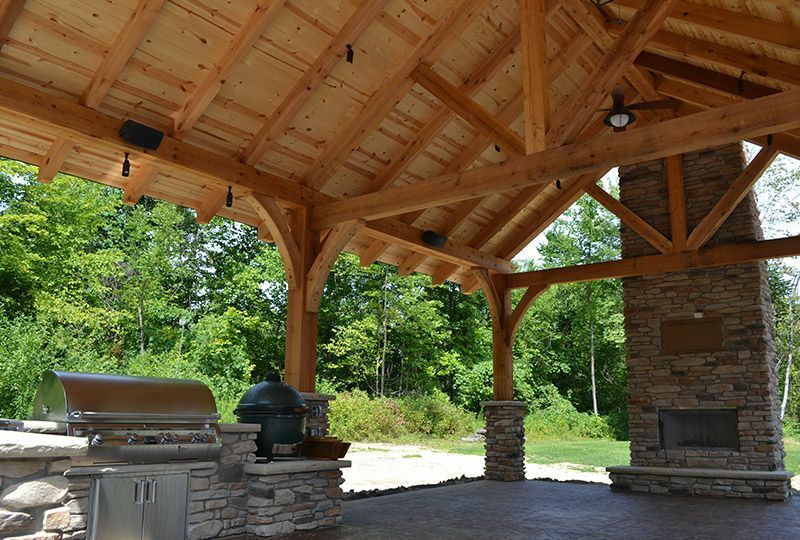 No matter what structure you imagine for your space, Exscape Designs will help make it a reality. These free standing structures provide a shaded area for lounging or dining and can be incorporated as part of a deck or patio design. Consider the many years of use your family will enjoy from a pavilion structure. A retaining wall can serve a dual purpose—creating division in your outdoor space and adding architectural interest to your landscape. Talk to our team about the many ways to incorporate retaining walls in your landscape design. One of the quickest ways to add both visual appeal and function to your home is to replace outdated, deteriorated walkways and entryways. Choose from a variety of materials from stone, porcelain tile, brick and more to achieve your desired look. 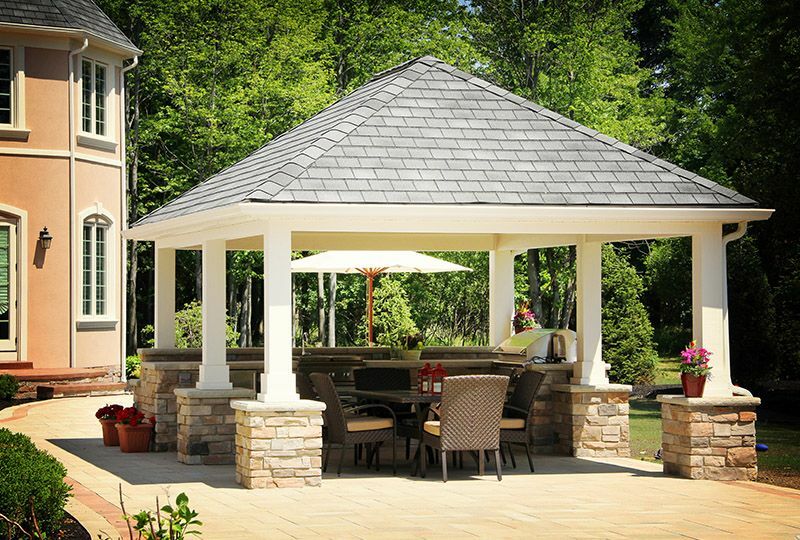 A covered patio extends from your home, adding shelter to a favorite space for dining and grilling. There are many options to create a covered patio space perfect for your home and intended use.